What will $2,000 rent you in Philadelphia, right now? We've rounded up the latest rental offerings via rental site Zumper to get a sense of what to expect when it comes to finding an apartment in Philadelphia if you've got $2,000/month earmarked for your rent. 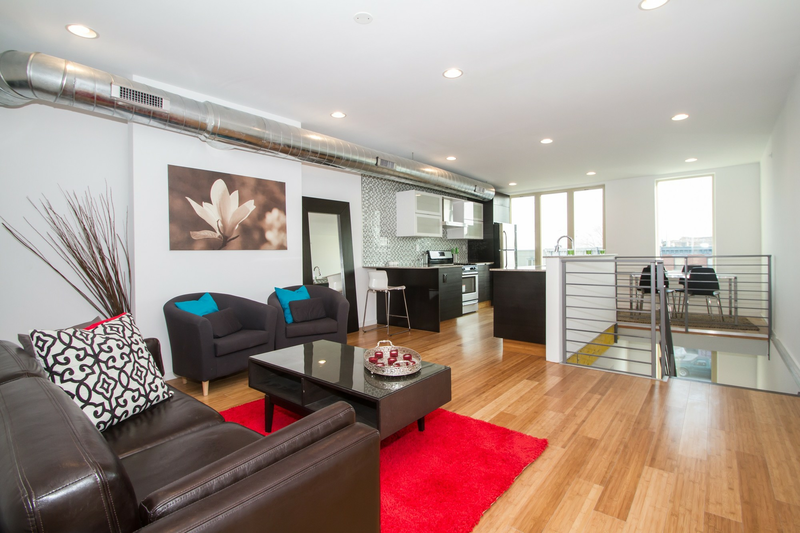 Listed at $2,000/month, this 777-square-foot one-bedroom, one-bathroom condo is located at 1425 Locust St., #7E. In the unit, expect air conditioning, hardwood floors and stainless steel appliances. Pets are not allowed. There isn't a leasing fee associated with this rental. Per Walk Score ratings, the area around this address has excellent walkability, is quite bikeable and has excellent transit. Next, there's this one-bedroom, one-bathroom abode located at 220 W. Rittenhouse Square. It's also listed for $2,000/month for its 975 square feet of space. In the single-family home, there is in-unit laundry, a walk-in closet and hardwood floors. Animals are not welcome. There isn't a leasing fee associated with this rental. Walk Score indicates that the surrounding area has excellent walkability, is convenient for biking and boasts excellent transit options. Here's a 1,200-square-foot studio apartment at 459 E. Girard Ave., #4 that's going for $2,000/month. Inside, you'll get hardwood floors, in-unit laundry and a balcony. The building has secured entry and on-site management. Luckily for pet owners, both dogs and cats are welcome. There's no leasing fee required for this rental. According to Walk Score, the surrounding area is a "walker's paradise," is very bikeable and boasts excellent transit options. Next, check out this 1,016-square-foot one-bedroom, one-bathroom condo that's located at 233 S. Sixth St., #1004. It's listed for $2,000/month. In the apartment, you'll find hardwood floors, a walk-in closet and granite countertops. The building offers on-site laundry, garage parking and storage space. Neither cats nor dogs are welcome. Future tenants needn't worry about a leasing fee. According to Walk Score, the area around this address is extremely walkable, is quite bikeable and has excellent transit. Located at 180618 Rittenhouse Square, #204, here's an 825-square-foot one-bedroom, one-bathroom condo that's listed for $2,000/month. In the unit, you can anticipate a walk-in closet, stainless steel appliances and granite countertops. When it comes to building amenities, anticipate on-site laundry, a fitness center and a roof deck. Neither cats nor dogs are welcome. There's no leasing fee required for this rental. According to Walk Score, this location is a "walker's paradise," is quite bikeable and is a haven for transit riders.